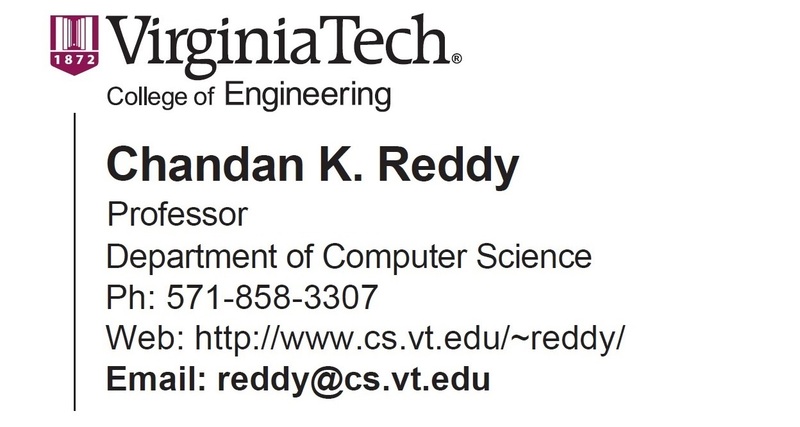 Chandan Reddy is an Associate Professor in the Department of Computer Science at Virginia Tech. He received his Ph.D. from Cornell University and M.S. from Michigan State University. His primary research interests are Data Mining and Machine Learning with applications to Healthcare Analytics and Social Network Analysis. His research is funded by the National Science Foundation, the National Institutes of Health, the Department of Transportation, and the Susan G. Komen for the Cure Foundation. He has published over 110 peer-reviewed articles in leading conferences and journals. 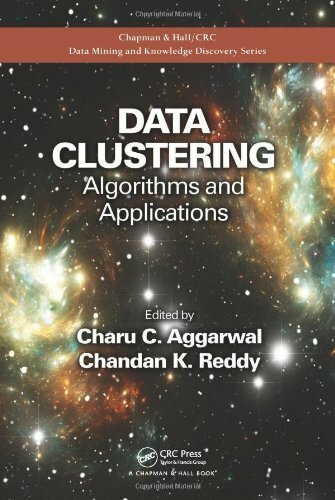 He received several awards for his research work including the Best Application Paper Award at ACM SIGKDD conference in 2010, Best Poster Award at IEEE VAST conference in 2014, Best Student Paper Award at IEEE ICDM conference in 2016, and was a finalist of the INFORMS Franz Edelman Award Competition in 2011. 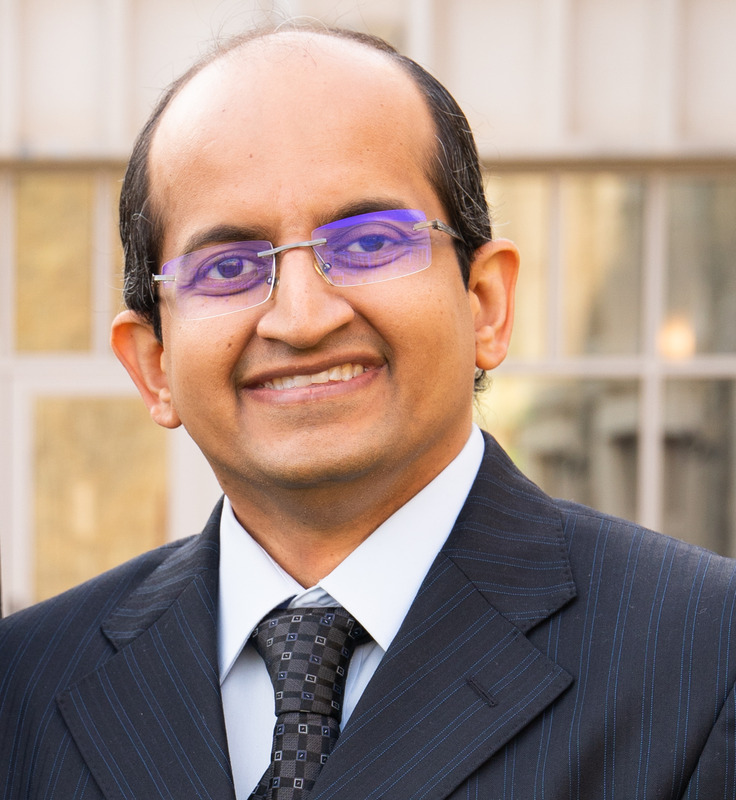 He is serving on the editorial boards of ACM TKDD and DMKD journals. He also served as the PC Co-Chair of ASONAM 2018. He is a senior member of the IEEE and life member of the ACM. Machine Learning for Survival Analysis, Presented at SIGKDD 2017. Platforms and Algorithms for Big Data Analytics, Presented at BigData 2015. 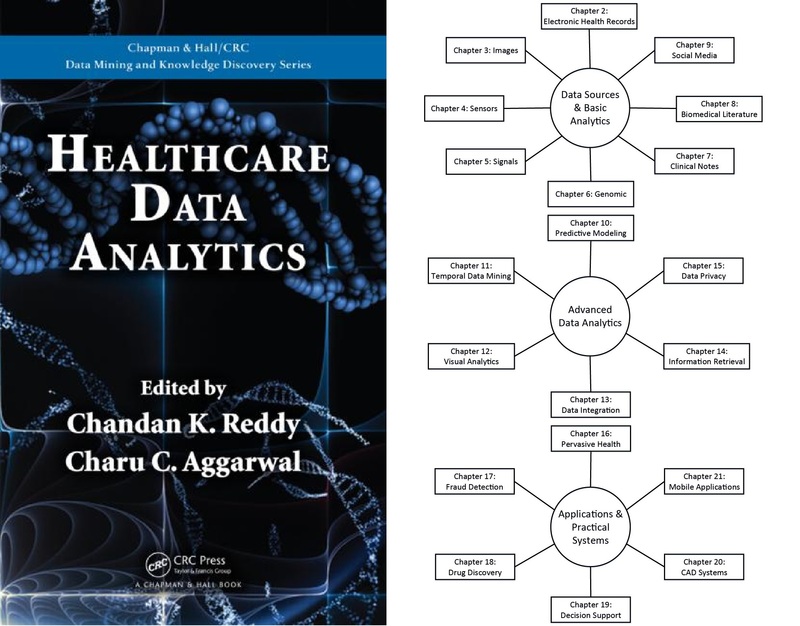 Big Data Analytics for Healthcare, Presented at SIGKDD 2013 and SDM 2013.